Sr.A.O. (ITD)for uploading the OM on the CGA website. 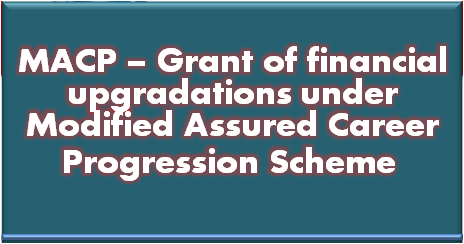 who are eligible for grant of financial upgradation upto 31.03.2019, in the enclosed proforma along with Service Book, complete CR Dossier upto 2016-17 and latest vigilance clearance certificate respectively by 15.05.2018 & 31.05.2018.